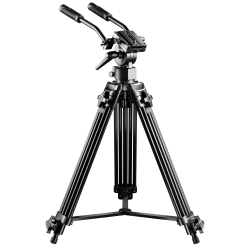 The EI-9901 Video-Pro Tripod out of our first-class walimex pro series is something special. 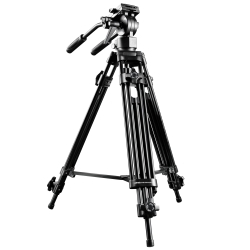 Smooth movements without jerking as well as the professional equipment make this possible. 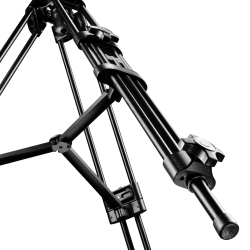 Soft panorama pannings over 360° and tilting movements from -85° to +90° are possible without problems. 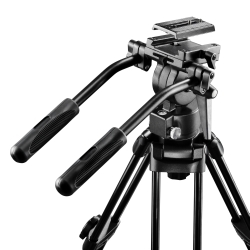 The panhead together with the two guide handles always provides a steady, smooth guiding. Besides, the head is equipped with a spirit level for perfect positioning. 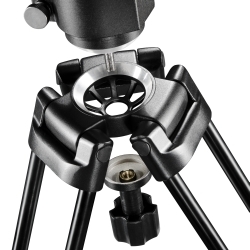 The Tripod has two quick-release plates, which have a 1/4 inch connections. It is made of a sturdy aluminium alloy. The double-guided legs as well as the spider provide enough stability. 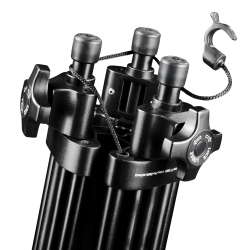 Two removable guide handles, one built-in spirit level and rubber feets are certainly included as well as reliable quick-release fasteners. A carrying bag is also included in delivery.